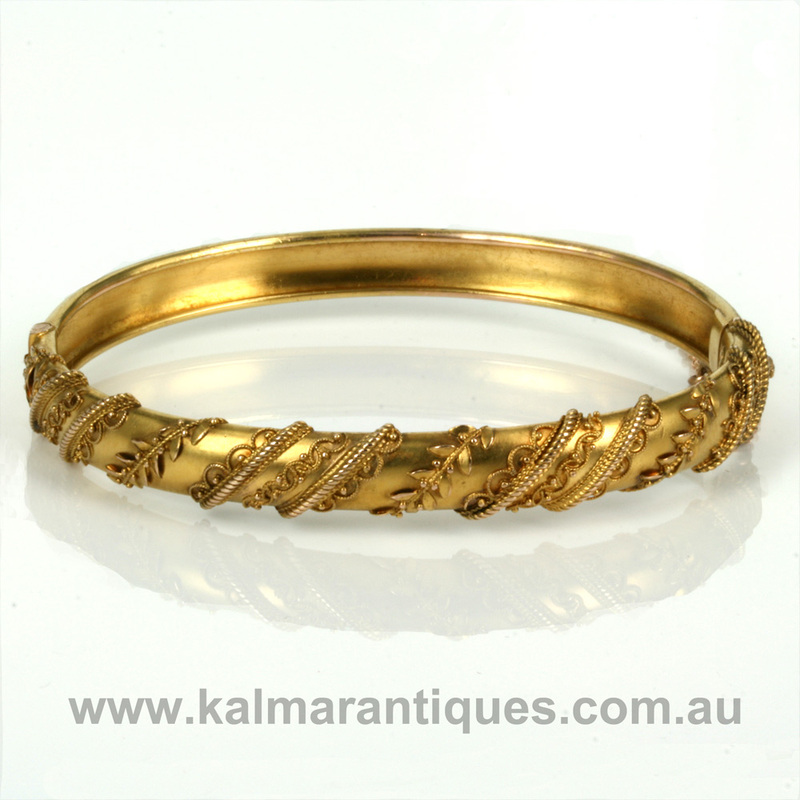 15ct gold antique bangle dating from the 1880's. Product code: ES6102 Categories: Sold Items, Sold Jewellery. 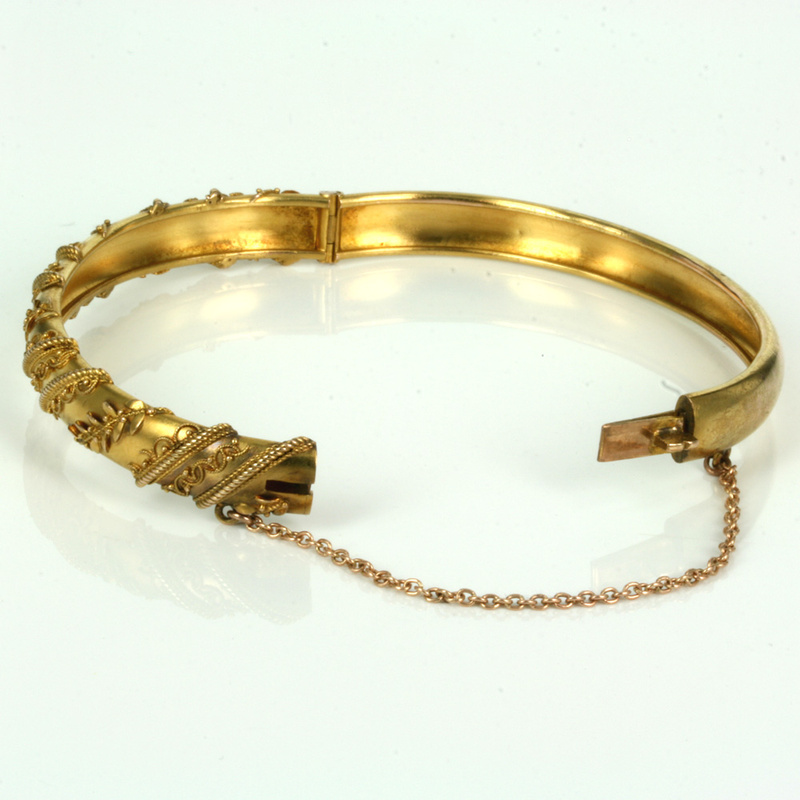 The rich colour of the 15ct gold is just one of the outstanding features of this antique Etruscan bangle. Dating from the 1880’s, 15ct gold was used up until 1931 making this a wonderful feature in itself. 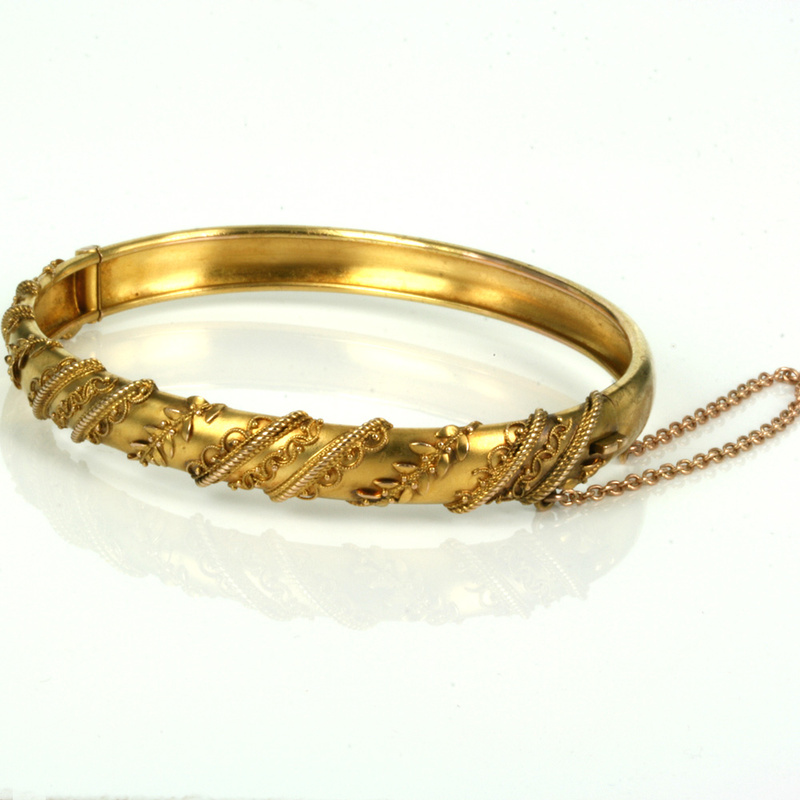 However it is also the amazing design of this bangle that give it so much charm and character. The wire work pattern and leaf designs combine so well together giving this bangle a wonderful naturalistic feel to it. 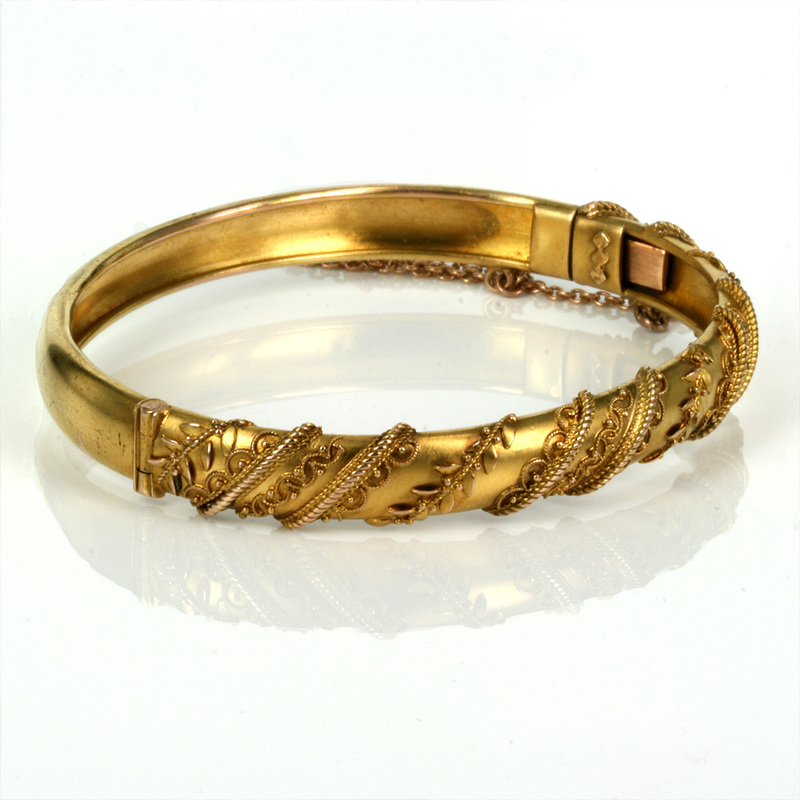 Measuring 8.1mm wide at the top section and being oval hinged allowing it to sit close and comfortable on the wrist, this antique bangle is just so easy and comfortable to wear all the time day or night and always look and feel special.